HMD has started pushing out a new update to its Nokia 8 smartphone. The change-log mentions things like improved system stability and user interface enhancements, aside from the December security patch. 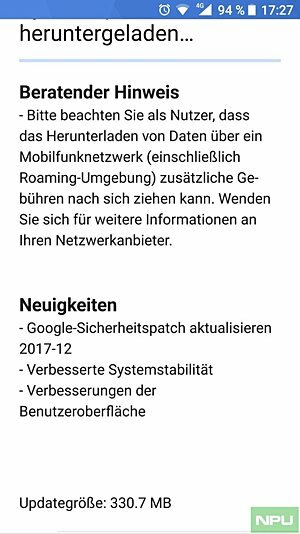 This new update - which arrives as Oreo version 4.390 and weighs in at around 330MB - is currently hitting units in some European markets. It's worth mentioning that the device has already received the December patch in some markets (like India), but these extra changes weren't included in that update. Hi Lundmein, sorry for late response. There is a noticeable improvement in performance.